Sign up now for your Professional Website design. Do this by clicking on the 'Add to cart' button below, for the style of Website you require. This is where you choose your template and design. A Basic one page website can be yours for only £149.99. Best suited to companies or individuals that want a simple online presence. Whether for business, personal interest or hobbiest our professional 1 page website will get your information on-line quickly and easily. Don't worry, every professional 1 page website we design can be expanded, when required. A basic 5 page Website design, from one of our templates, can be yours from as little as £675.00. You can call/name the 5 pages whatever you like but normally they include something like the following: - About us, Contact, Gallery, Products/Services, & a Links page. Additional pages are from £85.00 + VAT per page or per hour. Other site changes are charged at £35.00 per hour unless otherwise agreed. 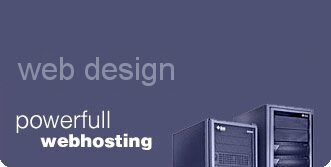 In order to give you the best service & statistical analysis, we suggest that your website is hosted on our servers.